A theme throughout Fantasia 2012 has been self-aware or meta films. Especially in the genre world, it’s hard to make a film that oozes originality given that each genre has its fair share of cliches which often partly define the genre. If you take away all of the cliches, it might result in the destruction of the genre. Then what kind of film do you have? So it seems that self-awareness in genre film allows filmmakers to bolster originality in cliche-ridden films by uncovering another layer. That said, I find that films need to commit to being self-aware or meta for the technique to really work. A Night of Nightmares seems to be poking fun at the plethora of previous haunted house movies, but not nearly often or clearly enough. The end result is either a sub-par meta movie that doesn’t quite ‘go for it’, or one of the most unwatchable straight haunted house movies that I have ever seen. Mark (Senter) is a passionate music video-blogger, who revels in discovering new talent and sharing their music with the viewers of his site. Tonight is a special night for Mark, as he is driving out to the country for an evening with his latest discovery, an enigmatic young singer named Ginger (Dowling). The night starts off slowly with Mark and Ginger growing accustomed to each other. However, when the sun goes down the evening takes a sinister turn. Ginger is not who she claims to be and someone is watching them from the safety of the shadows outside. Add to this some menacing supernatural events and it looks like Mark and Ginger are in for a night of nightmares. My only experience with the work of Buddy Giovinazzo was the ‘I Love You’ segment from last year’s The Theatre Bizarre. Well it was not strictly horror, it was one of the better segments of the anthology, and I looked forward to checking out his next work. 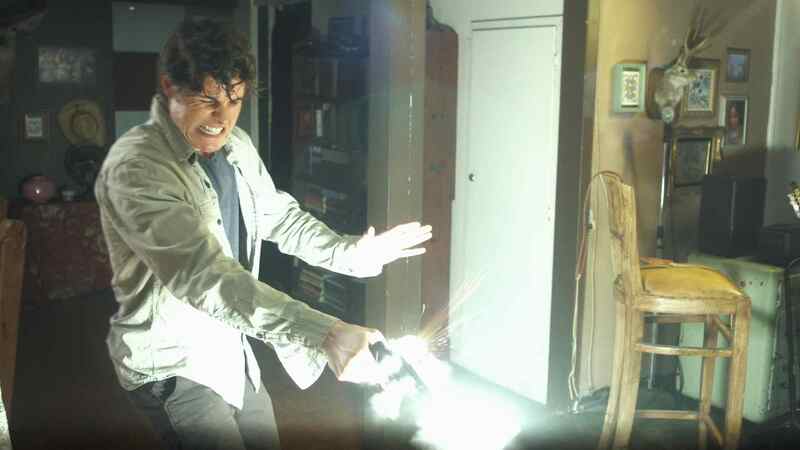 A Night of Nightmares was probably an ultra-low budget movie, and I always take this into consideration when reviewing, but it was a personal trial in patience to get through this short screening. From moment one the dialogue feels awkward, as if the characters are reading off the pages of a script. Mark is incredibly unlikable, but his character is not a bad guy. It would be unfair to put the blame solely on the writing or the acting , as both probably contributed to the problem. In one particular scene Mark and Ginger discover a record player, seemingly turned on by itself. They find a spray bottle that may have fallen from the shelf and explain to each other that the wind must have blown the bottle off the shelf and then the bottle must have hit the record player, turning it on. Satisfied with this explanation they continue about their day. If this scene was written for laughs then it missed the mark. If it was written as a serious explanation then it makes the audience want your main characters to die sooner than later for being the most amazing of morons. I found myself falling into the latter category. 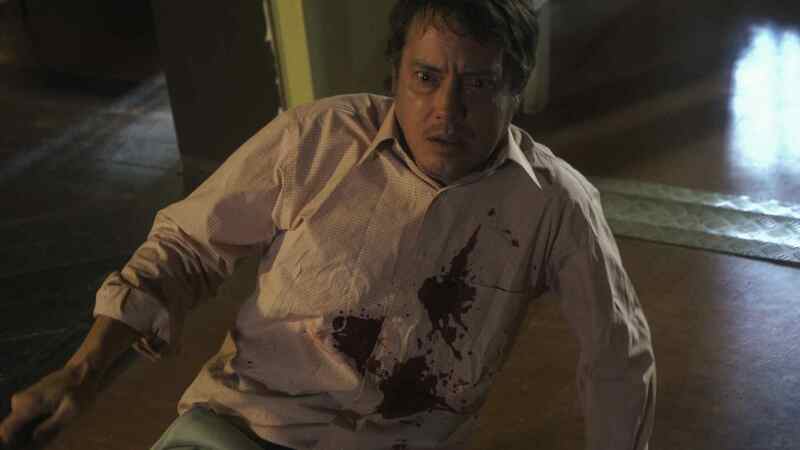 Aside from the dialogue and the acting falling far short of the mark, even for independent film, the story never seems to grab the audience by the throat, as most horror movies should eventually do. Also, some of the scarier moments of the film are ruined by incredibly uninspired bits of filmmaking. In one particularly hilarious scene, Ginger has something in her throat that she is trying to cough up. For the ‘money’ shot, the back of Gingers head fills half the screen, while somebody clearly throws a fistful of pennies onto the floor as if she had thrown them up. I wonder what they were thinking in the editing room including this scene. Asking one of the most film-literate audiences in the world to believe this effect in a serious film is incredibly naive. I wish I had better things to say about A Night of Nightmares, but I want it to be clear that this type of movie is not enjoyable anymore. The haunted house sub-genre is full of classics. We need something original at this point. If a filmmaker is going to be self-referential, then it needs to be more clear. If they are going for a straight horror film, then it actually needs to be scary and put its own spin on the genre. As it stands, A Night of Nightmares didn’t let us in on the joke if there was one. If there wasn’t a joke and it was supposed to be scary, then I don’t even know what to say.